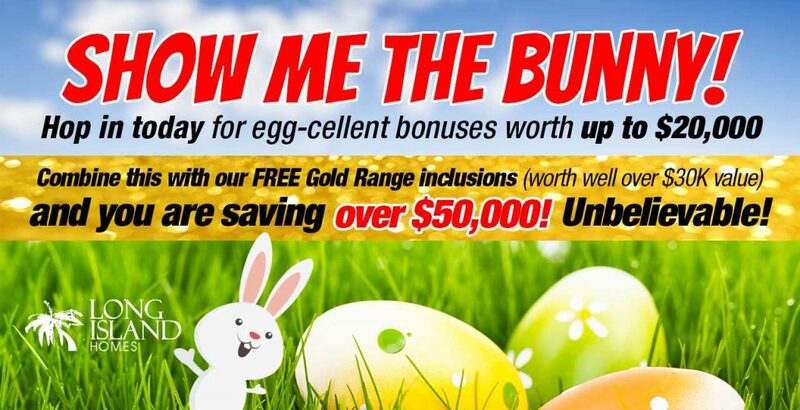 Combine this bonus with our FREE Gold Range inclusions! and you are now saving over $50,000! Looking at a single storey? Pay just $3,990 and receive $15,000 worth of extras! Double storey got your eye? Pay only $5,990 and receive $20,000 worth of extras! These bonuses can be used in our interior design showroom for fitting out your home! Or if you prefer, it can be used as a straight cost saving for Developer requirements or for a designer Facade! For $990 for homes up to 26sq. or $1,490 for homes over 26sq.